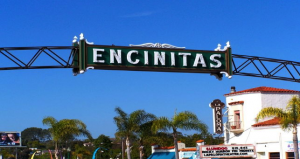 Encinitas is a classicly-cool, laid-back coastal city in north San Diego County. It covers two zip codes – 92024 and 92007 – and is made up of 5 communities including New & Old Encinitas, Cardiff-by-the-Sea, Olivenhain, and Leucadia. 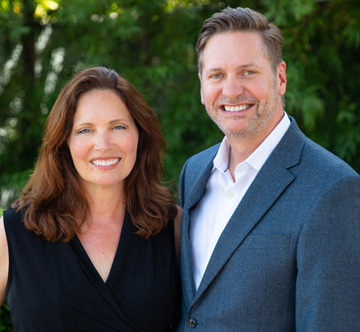 There are approximately 60,000 residents here who are a part of the Encinitas Union School District. There are many varied neighborhoods here including dramatic custom luxury homes built on the beach and the cliffs, large sprawling estates in the hills of Olivenhain, small funky beach cottages in Old Encinitas and Leucadia, and track single-family homes and townhome scattered throughout the various communities. Residents enjoy six miles of the Pacific coastline and some of the most beautiful beaches in Southern CA, including Moonlight State Beach and Swami’s. It is also home to international surf contests, the San Elijo Lagoon Reserve, the Encinitas Ranch Golf Course, the San Diego Botanic Gardens, and the Self Realization Center. Also, not to be missed is the Old Downtown area. It runs along HWY101 from K Street to Encinitas Boulevard and is considered to be the town’s “the main street”. While there, you can visit The La Paloma Theatre that dates back to the 1920s, as well as many wonderful sidewalk cafes, boutiques, galleries, shops, and of course, great people-watching.